The checklist for anyone who has an asthma sufferer at home. The five steps anyone who has an asthma sufferer at home needs to know. When someone in your family is diagnosed with asthma, everyone is affected. Growing up, my little sister had severe asthma, which put her in intensive care a number of times. While fortunately these instances were rare, life on a daily basis changed. We would never leave the house without inhalers, we kept our distance if we felt a cold coming on, and I learnt to memorise instructions of how to use the inhaler properly should I ever be needed. There is no universal trigger for people with asthma. It can vary from the cold and flu to cigarette smoke or allergens like pollen and dust, or even your pet. Even changes in the weather can mean painful times ahead for some. It’s vital to identify the trigger (or triggers) so you can manage and minimise the risk of an attack. The first place to start? Your home. Make sure you’re not letting mould grow and keeping things clean but avoiding cleaning products with too many chemicals and fragrances if that’s a trigger. Even changing the products you use to wash clothes can make a difference. 2. Talk to a pharmacist. Does it all seem overwhelming? Head to your local TerryWhite Chemmart and talk to a pharmacist about medications and better asthma management. Even if it&apos;s old hat to you now, the season change from winter to spring can cause flair-ups of allergies and asthma, so it&apos;s a perfect time for a refresher. They can help you with the symptoms to look out for, tell you more about the medication you or your child has been prescribed, how to use it and the proper way to use an inhaler and spacer. Here&apos;s some more information about their asthma services. 3. Know your Asthma Score & Develop an asthma action plan. According to the Asthma Australia, an Asthma Score is a way of working out your level of asthma control. Even if you think your asthma is under control, knowing your Asthma Score is still important. It will assist your health care professional to help you reach the best asthma control possible. a list of your usual asthma medicines, including doses. 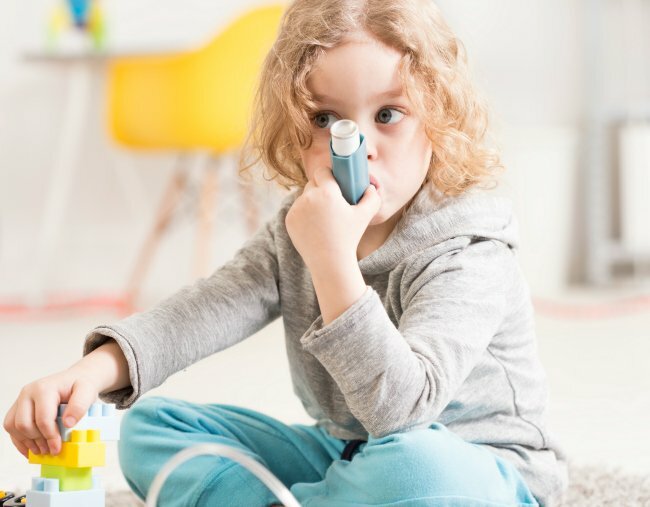 instructions on what to do when asthma is getting worse (including when to take extra doses or extra medicines, and when to contact a doctor or go to the emergency department). what to do in an asthma emergency. the name of the doctor or other health professional who prepared the plan with you. Once completed, it&apos;s yours to keep. It&apos;s a good idea to have several copies so you can keep them in the car, at work or school and at home. Also remember that this needs to be reviewed annually or if your severity or condition worsens or as you get older. 4. Educate those around you. Whether it&apos;s siblings, teachers, extended family members or friends, the more people that know what to do in an emergency situation the better. That means educating them about your action plan, showing them how to use an inhaler properly, reminding them of any symptoms to look out for and, importantly, knowing the asthma first aid steps. After all, as I&apos;ve learnt from my sister&apos;s experience with asthma, it takes a village. And every little bit helps. Have you ever had an asthma attack? How do you manage your asthma? Share your stories and tips with us below.